Human spaceflight (also referred to as manned spaceflight) is space travel with a crew or passengers aboard the spacecraft. Spacecraft carrying people may be operated directly, by human crew, or it may be either remotely operated from ground stations on Earth or be autonomous, able to carry out a specific mission with no human involvement. The first human spaceflight was launched by the Soviet Union on 12 April 1961 as a part of the Vostok program, with cosmonaut Yuri Gagarin aboard. Humans have been continuously present in space for 7008509810076000000♠16 years and 56 days on the International Space Station. All early human spaceflight was crewed, where at least some of the passengers acted to carry out tasks of piloting or operating the spacecraft. After 2015, several human-capable spacecraft are being explicitly designed with the ability to operate autonomously. While spaceflight has typically been a government-directed activity, commercial spaceflight has gradually been taking on a greater role. 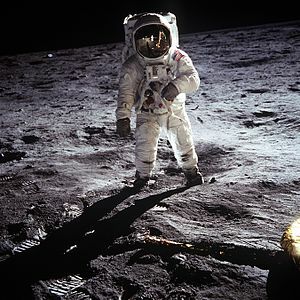 The first private human spaceflight took place on 21 June 2004, when SpaceShipOne conducted a suborbital flight, and a number of non-governmental companies have been working to develop a space tourism industry. NASA has also played a role to stimulate private spaceflight through programs such as Commercial Orbital Transportation Services (COTS) and Commercial Crew Development (CCDev). 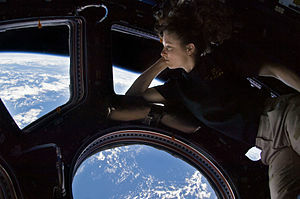 With its 2011 budget proposals released in 2010, the Obama administration moved towards a model where commercial companies would supply NASA with transportation services of both people and cargo transport to low Earth orbit. The vehicles used for these services could then serve both NASA and potential commercial customers. Commercial resupply of ISS began two years after the retirement of the Shuttle, and commercial crew launches could begin by 2017. A quick look set to music of current and future NASA human space flight activities. Astronaut Marsha Ivins tracks the history of America's space program, from Alan Shepard's Mercury flight to Space Shuttle flight STS-26.